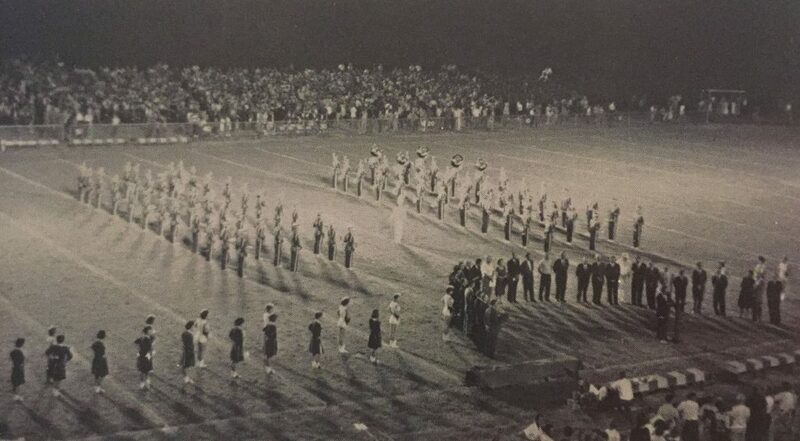 Bruce Canova Stadium, formerly known as the Auburndale Citrus Bowl, opened for the fall 1962 football season. Prior to this Connie Mack Field on Highway 92 was used. The Student Council scrapbook for 1977 featured an article discussing proposed changes to the stadium which would have included another set of permanent seating on the visitors’ side, including restrooms. This never came to pass. The stadium was named for Bruce Canova, a former Auburndale city manager, in November 1982. The stadium has seen relatively little work in its 50+ years of existence, with the addition of a freestanding concession stand in 2010. Prior to the stadium's construction, clubs and teams took pictures all around campus. The stadium is renamed for City Manager Bruce Canova, November 1982.